Just announced, your chance to STOCK up and SAVE! Save on your basic supplies and then some! Oct 1-6th only so check it out TODAY, don't delay! In celebration of WORLD CARD MAKING DAY, you can select many items and save 15%! There is quite a selection available to help you get started with your card making this season! 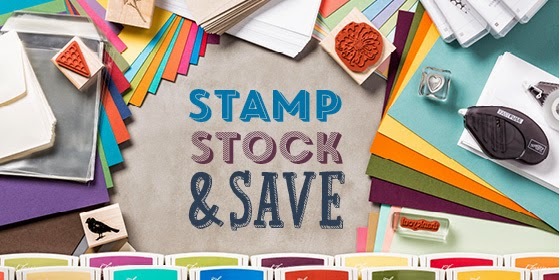 Ink pads, cardstock, envelopes, Fast Fuse adhesive, and even a handful of versatile stamp sets! To see the exact items on sale this week, CLICK HERE and it will take you to the website. While you're there, you can check out the Clearance Rack and take a peek at What's New! Thanks for letting me be your demonstrator!